1890 Veterans Schedule, U.S. Census. The 1890 Census included a veterans schedule for enumerating Union veterans of the Civil War (although some Confederates were also counted) and their widows; about half of the U.S. schedules survived a fire. New Mexico is fortunate in having these schedules complete. 1930 U.S. Census included a box that was marked if the person was a veteran and asked which war or expedition. This is especially helpful for identifying World War I and Spanish American War veterans. [[New Mexico Veterans History Project]] is looking for veterans who would like to share their stories. If you or someone you know served in the Army, Navy, Air Force, Marines, Coast Guard, Merchant marines, or related civilian services, your story can become part of the collections at the Library of Congress. OASIS Albuquerque is the local partner for the VHP. Volunteer OASIS interviewers are trained to record the personal accounts of ALL veterans and civilians working under contract to the armed services. Contact OASIS at (505) 884-4529 or oasisabq@oasisnet.org if you are interested in telling your story or a presentation about the Veterans History Project to your group. Many of these histories are also kept at the New Mexico Veterans Memorial Library. 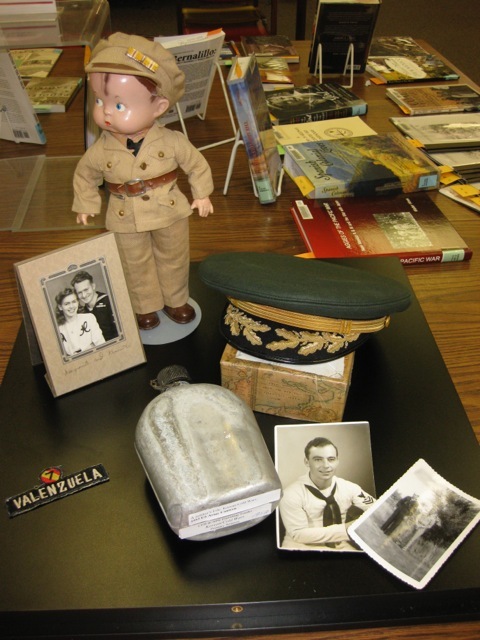 The Genealogy Center and the Special Collections Library have a wealth of information on New Mexican's military service. With your library card you have free access to Fold3, one of the premier databases for military research, which includes searchable digitized images of millions of historical primary documents relating to the Revolutionary War, Civil War, World War I, World War II, Vietnam, and much more. Ancestry Library Edition, which you can use from your closest branch of the ABQ-BernCo Library, also has a large number of military records, including World War I draft registration cards and questionnaires filled out by New Mexicans who served in World War I. The Genealogy Center has microfilm copies of the Spanish Archives of New Mexico series II which contain military documents for this time period. These books available at the Genealogy Center will help you to identify your Spanish Colonial soldier ancestors. Search the library catalog for the many Civil War pension applications and widow's Civil War pension applications for New Mexicans available in the Genealogy Center family vertical files. Civil War military records and Civil War pension application records are also available on Fold3. The Genealogy Center has microfilmed copies of Union military records in New Mexico. These records are also available on the local area network at the Genealogy Center, and Fold3 and Ancestry Library Edition (available at your branch library) have these and Confederate records available. Also on microfilm at the Genealogy Center are Returns from U.S. Military Forts in New Mexico, 1800-1916. The Veterans Schedule for the 1890 U.S. Census is especially helpful for identifying surviving soldiers, sailors, marines, and widows. It includes the person's name, rank, company, name of regiment or vessel, dates of enlistment and discharge, and disability incurred. This is available on Ancestry Library Edition and FamilySearch.org. Civil War Soldiers and Sailors Database from the National Park Service is also available. These books available at the Genealogy Center will help you to identify your Civil War ancestors in New Mexico. Department of New Mexico Colonel Edward Canby and Governor Henry Connelly recruited what became the First and Second New Mexico Volunteer Infantry. In this book leading Civil War historian Jerry Thompson tells their story for the first time, along with the history of a third regiment of Mounted Infantry and several companies in a fourth regiment. The emphasis is on how the volunteer companies were raised; who led them; how they were organized, armed, and equipped; what they endured off the battlefield; how they adapted to military life; and their interactions with New Mexico citizens and various hostile Indian groups, including raiding by deserters and outlaws. The appendix lists the names of all volunteers and militia men. Civil War Desk Reference by Margaret E. Wagner, et al. World War I selective service draft registration cards 1917-1918 for New Mexicans are available on microfilm at the Genealogy Center or online on Ancestry Library Edition, which you can use from your closest ABC Library, and FamilySearch.org among other locations. The Genealogy Center has microfilm copies of biographical questionnaires filled out by returning New Mexico WWI veterans just after the war and these are also available on Ancestry Library Edition as "New Mexico, World War I Records, 1917-1919 - Service Records." About 70% of returning veterans completed these questionnaires. Many of these questionnaires include photos and other correspondence. Also available on microfilm are lists of World War I casualties, wounded, unclaimed Gold Star Awards, and National Guard Enlistment Records for New Mexicans. 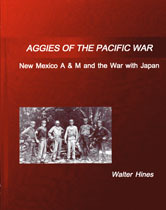 War service of the University of New Mexico - Hodgin, Charles E.
Full text available online. Also available in print (call number 978.961 Hodgin) and on the local area network at the Genealogy Center. Soldiers of the Great War - Haulsee, W.M. 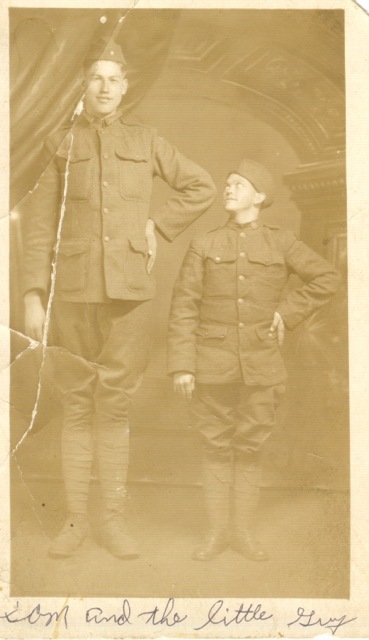 in his unit, posing with the shortest guy in his unit. In 1917, five years after New Mexico received its statehood, the United States entered World War I. With border tensions festering between Mexico and the United States, Germany attempted unsuccessfully to secure Mexico's allegiance. More than sixteen thousand New Mexicans joined the military, while civilians supported from the home front. The Genealogy Center has WW II enlistments and Prisoners of War from New Mexico available on a local area network and on microfilm. Bataan Memorial Museum from the New Mexico National Guard tells the history of the Bataan Death March. The books below from the Genealogy Center tell the story of the role of New Mexicans in World War II. New Mexico has two military cemeteries -- one in Santa Fe and one at Fort Bayard, near Silver City. Research and order military records from the US National Archives. Free military documents and full-text books. Links to military records for New Mexicans and tips for searching them. Preserves for public searching the personal stories and recollections of thousands of American veterans of every war since World War I. Many of these are available at the New Mexico Veterans Memorial library. Headquartered in Tijeras, N.M., this organization collects, preserves, interprets, and shares the life stories of the people and families who have stood behind their soldiers in both peace and war throughout our nation’s history.